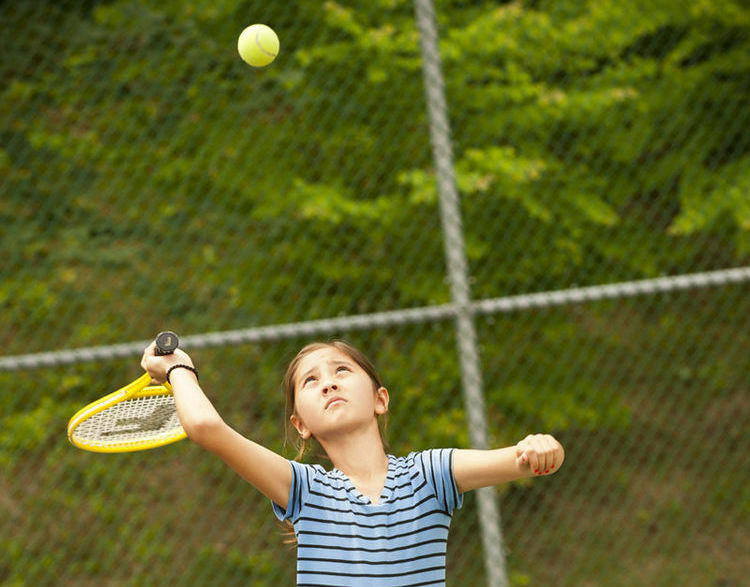 Tennis at Day Camp | A Day Camp for Dobbs Ferry, Irvington, Etc. Allow your inner Rafael Nadal and Sloane Stephens to emerge as you enhance your tennis skills. In this major, you will work on the core fundamentals of the game (groundstrokes, serves, backhand, forehand, and net play). All levels of experience are welcome! It is our goal to provide both a positive introduction to new players as well as the opportunity for the experienced player to develop and refine his/her skills. Campers will learn and play on outdoor courts at Solomon Schechter.